We are dedicated to providing exceptional customer service to every customer we serve. With our friendly and courteous crew of junk pros, we are happy to serve you for all your junk or rubbish removal needs. Here are some kind words from a few happy customers. Speak with one of our removal specialists and Call us at 416-655-8260 or Book Online. We would highly recommend them to anyone who needs junk removal. JUNK BOYS did it for a lower cost than those other companies. Their prices was exactly as they estimated. They finished on time and we were happy to get our garage back to be able to park the second car. Thanks for taking this daunting task off my hands! I was pleasantly surprised by your pricing and impressed with your quick response to my request for your services, not the least of which was the great job Jamie and Tom did of removing 21 years of collected junk from our basement and garage and carting it off in one truck load. 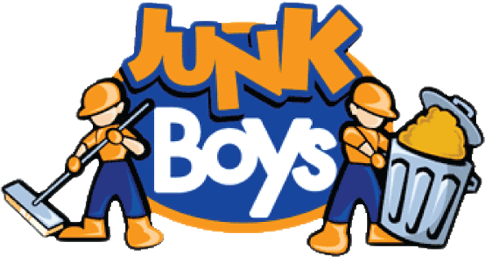 Great customer service is too rare a commodity and JunkBoys will certainly be at the top of my list of referrals for friendly, reliable, and affordable junk removal services. On behalf of myself and my family, I would just like to say thank you to Rick and his friend, Paul for their excellent work last Wednesday and Thursday at my grandmother's house. We had underestimated the amount of "junk" to be cleared, but Rick and Paul stayed all day to help us clear 3 truck loads out of the house. It was one of the hottest days of the year, but they kept working. They were professional and very friendly, and went out of their way to help us in a difficult situation. We would definitely recommend Rick and your company to anyone needing junk removal services and we will definitely call you again in the future if we need assistance. I just can't say how much we appreciated their help.